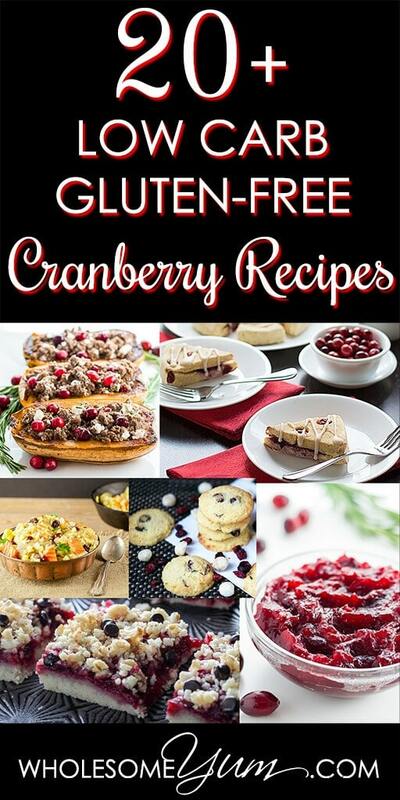 This collection of gluten-free, sugar-free & low carb cranberry recipes is full of delicious uses for cranberries. Try them all through the fall and winter! I’ve already professed my love for cranberries a couple of times before. I wish these bright red little berries were available all year! But, the fact that they aren’t just makes it that much sweeter when they are around in the late fall and winter months. 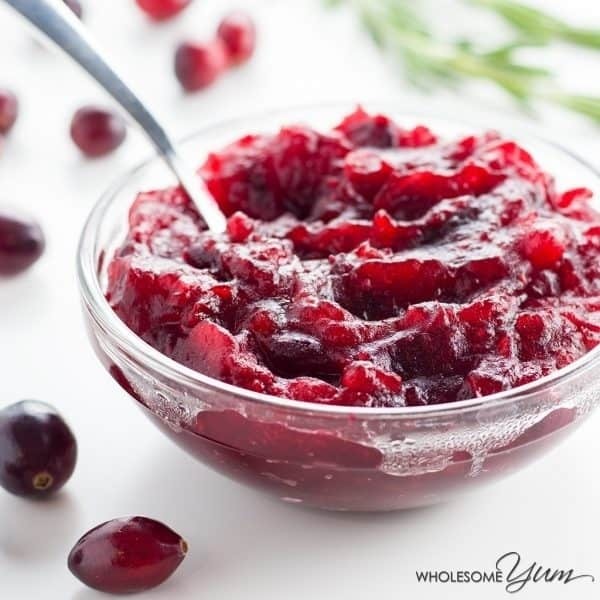 In the United States, cranberries are most well-known for cranberry sauce around Thanksgiving, but there are actually many other delicious ways to use them. 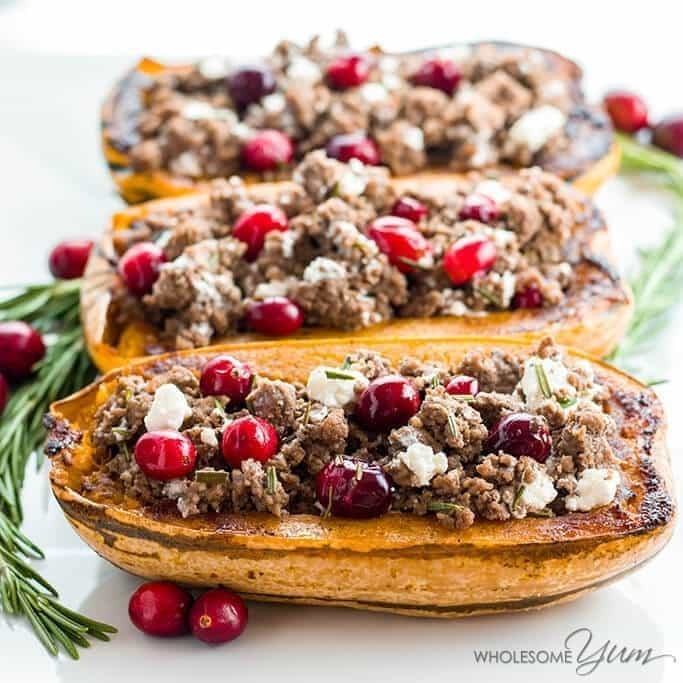 I’ve decided to assemble this roundup of low carb cranberry recipes to give you other ideas for cranberries. There are plenty beyond cranberry sauce, both sweet and savory. 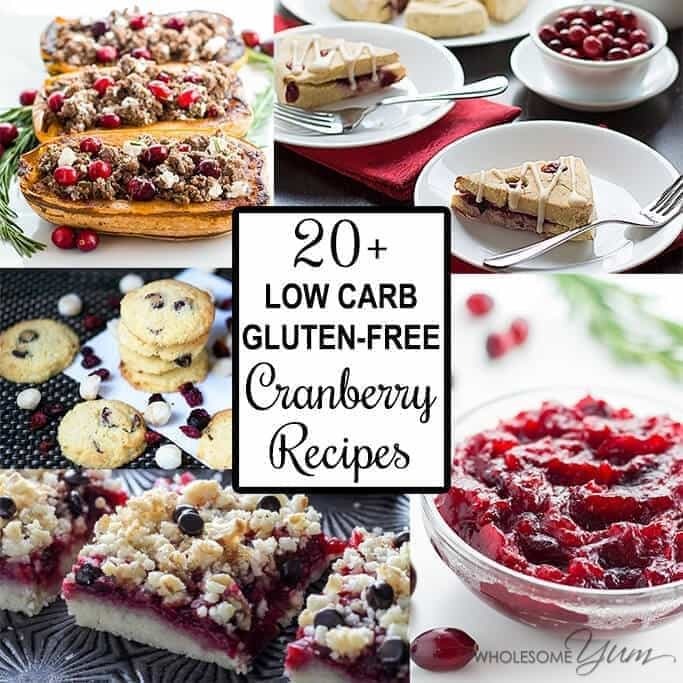 All of the low carb cranberry recipes below are gluten-free. Most are sugar-free, but I also included several that use sweeteners that can are easy enough to substitute for. I didn’t want to leave them out when they are so easy to make sugar-free. Besides, for many people smaller amounts of natural sugars aren’t a problem anyway. For the recipes that call for dried cranberries, I recommend using either naturally sweetened dried cranberries (these are sweetened with apple juice) or unsweetened dried cranberries. I can’t wait to try each cranberry recipe on this list! This is such an awesome roundup, a great collection of recipes. Thank you for including the Cranberry Ginger Vinaigrette. There are some gorgeous recipes here! Thanks for compiling this awesome list! This is great, and I have so many leftover cranberries I need to use. I really never liked cranberries until I discovered that fresh cranberry salsa, thanks so much for including me!